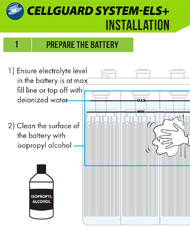 Electrolyte Level Monitoring System provides Reliable Electrolyte Level and Temperature Monitoring on Vented Lead Acid (VLA) batteries in Utility, Telecommunications, Data Centers, and Industrial Battery Plant applications. 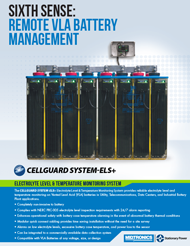 The CELLGUARD SYSTEM ELS+ Electrolyte Level Monitoring System provides Reliable Electrolyte Level and Temperature Monitoring on Vented Lead Acid (VLA) batteries in Utility, Telecommunications, Data Centers, and Industrial Battery Plant applications. 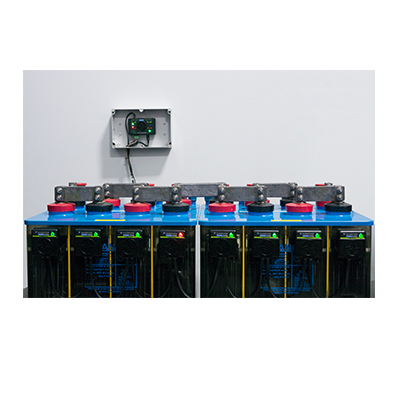 The CELLGUARD TRACE System provides effective string battery monitoring for 24V or 48V battery applications. It is designed to monitor stationary batteries.